Diamond Select Toys president DSTChuck is back for another round of questions, and this time he’s covering all of the bases, from Ghostbusters to Muppets to Star Trek to the entire DC Univere – Gotham, the animated universe, the Justice League movie and Wonder Woman! Read on to see if your question is answered, then submit it in the form up top, or e-mail DSTChuck! Do you have any plans to produce a starship Reliant replica along the same scale as the other Diamond Select starships? DSTChuck: Yes, we showed the prototype at Toy Fair, but it was not approved yet, so we could not allow photos. Hello, I just want to say I love your Batman TAS line that you’ve been coming out with. It’s nice to see great detail from my favorite childhood show brought back to life so accurately. I was wondering– will there be more PVC figures coming out down the road? The Femme Fatales were great, and it would be nice to have the other characters like Robin, Two-Face, Riddler, Mr. Freeze, and Bane standing with them. Also, I love the Busts and Premium Statues. 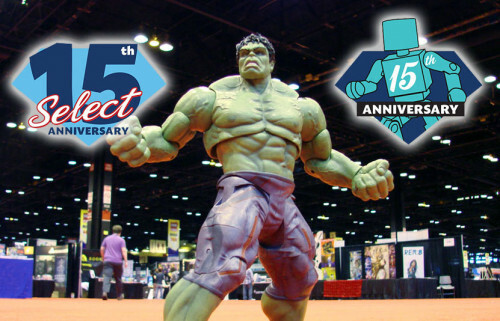 Will there be a Killer Croc bust down the line? Also, will there be a Batman or Batgirl Premium Statue? Keep up the awesome work. I am looking forward to all your products in the future. DSTChuck: As long as the line keeps selling, we’ll keep going! It’s been great to work on, and the show was a favorite of mine back in the day as well. I know this gets asked frequently but I need to know…Will the Voyager ship be released in 2017 or if at all? Of all the ships Voyager was my favorite as is with many of my friends. If it would help you can even post a poll to see how many people would be interested in buying one. I promise you Voyager fans are very real. DSTChuck: The Voyager will not be out in 2017, we are currently working on the Reliant, but it is definitely a ship we are considering for the future, no pun intended. Will you be creating a Stay Puft marshmallow action figure that is not a bank to go along with 7-inch figures that focus on the first movie? DSTChuck: Sorry, we have no plans at this time to make a 7” Stay-Puft, or any articulated Stay-Puft. We’re happy with our 11” and 23” inch versions of the bank, which we think are pretty accurate to the film. We also offer a burned version of the 11” bank, and evil versions of both sizes exist. I don’t know if you guys still have the license but since we will have an Expendables 4 will you guys release the rest of the original team, I mean Jet Li, Jason Statham and Randy Couture characters? Thank you for the amazing work have a nice one. DSTChuck: Sorry, we are not able to make figures for Expendables anymore, and we were never allowed to make the ones you are asking about. When will the USS Defiant and the TNG Phaser be available? Also, please re-consider making a TNG Tricorder. Thank you very much. DSTChuck: We have not planned the next ship after Reliant, but once we’re confident about their ship dates, we will have Diamond Comic Distributors list the TNG Phaser and the Reliant in Previews for ordering. Any chance you will get to do products based on the Wonder Woman movie or the Lynda Carter Wonder Woman classic TV series? DSTChuck: We will be making Vinimates vinyl figures for the Wonder Woman movie, and you can pre-order them now! No plans at this time for the classic TV show, but our deal with WB continues to evolve, so you never know! Hi there…Love your Star Trek Ships and Props…Just wondering if there will ever be a release of the Original Series Klingon Battle Cruiser. It’s the last of the memorable ships from the TV series. And a must to complete the collection. Thanks and I hope to hear back from you soon. DSTChuck: There are no plans at this moment, but for sure it has not been ruled out in anyway. Greg B.- Hi Chuck, I have been collecting the Batman the animated series busts and the Justice League Unlimited busts. How do you decide which character to make a bust of? I don’ t know if you take suggestions, but here are my top 5 I would like to see from the Batman and Justice groups. DSTChuck: There are several fans of the show in the office, and when we started the line we bounced around a bunch of names and narrowed it down from there. As we continue to expand the line, we try to do the most popular characters we have not covered yet. For sure, some of the ones you list have been considered. In fact, Penguin and one of the Leaguers are already sculpted, and both should ship this year. Hi Diamond, I’m a big fan of your Muppet line. I wanted to make a suggestion for a pack-in. Please consider making a figure of Waldo from Muppet*Vision 3D and the Jim Henson Hour. I‘ve always wanted to own a figure of him. I know that the Palisades people discussed this some years ago, but it didn’t go anywhere. Vinylmation recently released a figure of him for their Park Starz line. I’m really hoping you guys can produce him. I know there are Muppet fans who would love to own a figure of this character. Keep up the great work! DSTChuck: He’s not planned at this time but we’re not sure where we are going after series 4 so we’ll see. Hello, I wanted to ask if there is a chance that you will produce action figures from the game life is strange? Hi. BIG Fan of your detailed figures. Do you know if you’ll ever be making, or have in the works, Back to the Future fully articulated 6 or 7-in. figures much like the Clerks figures? DSTChuck: Sorry, but the likenesses for Marty and Doc are not available to us at this time. Would diamond select series consider manufacturing Dracula figure lines from the Coppola film? Gary Oldman variants, Hopkins Van Helsing, Diamond Select detailed dioramas, etc. DSTChuck: Very cool idea! We have no plans for anything like that at this time, but never say never! Hi, my question to you is when are you going to make SAM AND DEAN WINCHESTER from the hit television show Supernatural of the CW? Fans are waiting for a 6 or 7-inch line and honestly you guys are the perfect company to make this happen! Not only would you stand to make a lot of money, but most importantly you would be making your customers/fans EXTREMELY HAPPY!!!! PLEASE, I BEG OF YOU TO THINK THIS THROUGH. DSTChuck: I am sorry, but right now we have no plans for Supernatural product at this time. Hi Chuck, since you guys are doing figures based in the Tarantino universe is there any chance we could see a line based on the film From Dusk Til Dawn? DSTChuck: Right now, we have our hands full with Kill Bill and Pulp Fiction, but we’re not saying no! With this year being both the 30th Anniversary of Star Trek: The Next Generation and the 35th Anniversary of Knight Rider, are you going to do anything to salute it? DSTChuck: We’ve had some talks with CBS about Trek, and will be offering the TNG Phaser and a new Star Trek Select Borg action figure. At this time, nothing has been discussed for Knight Rider, but we celebrated the 30th anniversary with some pretty cool stuff! Is it possible for you guys to make figures from DC movies? You are the best– that would be an honor to see an 18cm Batman and Superman (among others) made by you. DSTChuck: At this time, we are not allowed to make action figures for DC comics or movies, but as we’ve said the situation continues to evolve. We’re happy to do anything they want us to partner on. There will be Vinimates vinyl figures for Wonder Woman and Justice League, and they’ve been great to work on! Hi. Have not heard anything new on the Lost in Space license. Are you done with it now? Should I give up hope of ever seeing a Jupiter 2 ship done in the same quality of your Star Trek ships? Thanks for your time. Love your products just wish we would see more of certain properties. DSTChuck: We have absolutely discussed the Jupiter 2 but sadly nothing is planned at this time. Is Series 4 the last series of Muppets figures you’re making? Would love Bobo and Uncle Deadly as well! DSTChuck: Muppets 4 is the last one we have planned at this time. We are going to wait how sales and demand are before we go forward with future plans. We are very hopeful. I was just wondering about the cloth dolls of Lock, Shock, and Barrel that were on display at Toy Fair, and if they will be coming with their tub? DSTChuck: The cloth action figures that are in scale with the Coffin Dolls do NOT come with the tub, but the 7-inch scale Select action figures will have their tub at comic shops and specialty stores. Will there be a fifth series of the “Gotham” figures? I want to see Jerome Valeska. DSTChuck: We’re going to see how series 3 and 4 sell, and how the TV series progresses. IF we go forward with a S5 then Jerome is on the short list! Phew! 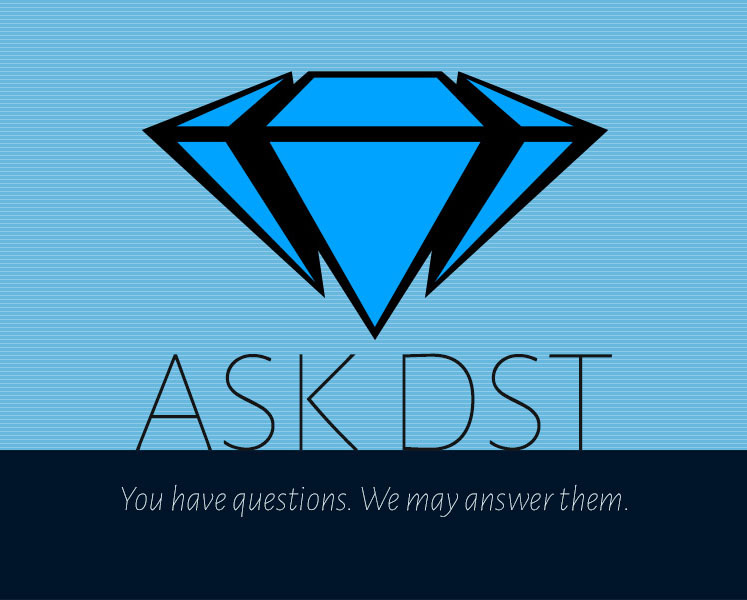 Submit your question in the drop-down form up top, or e-mail DSTChuck!